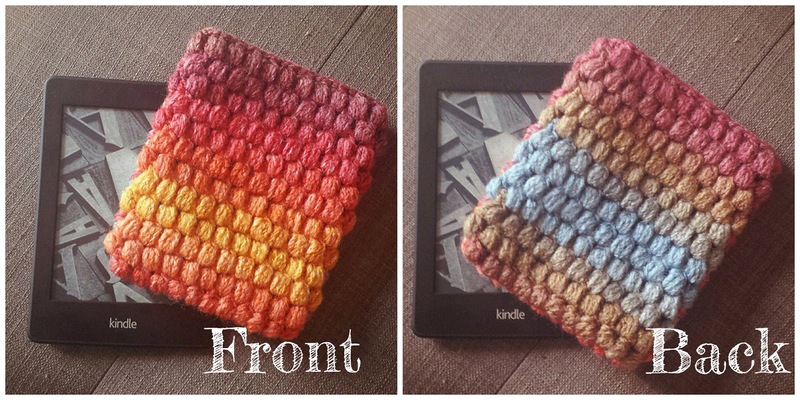 Crochet Kindle Cover ta dahhh and pattern! My lovely fella treated me to a Kindle Paperwhite for my birthday (no more squinting at my phone when reading in bed at night HOORAY!) and so I quickly whipped up a puff cover for it to stop it from getting scratched and knocked as I am a clumsy sod. 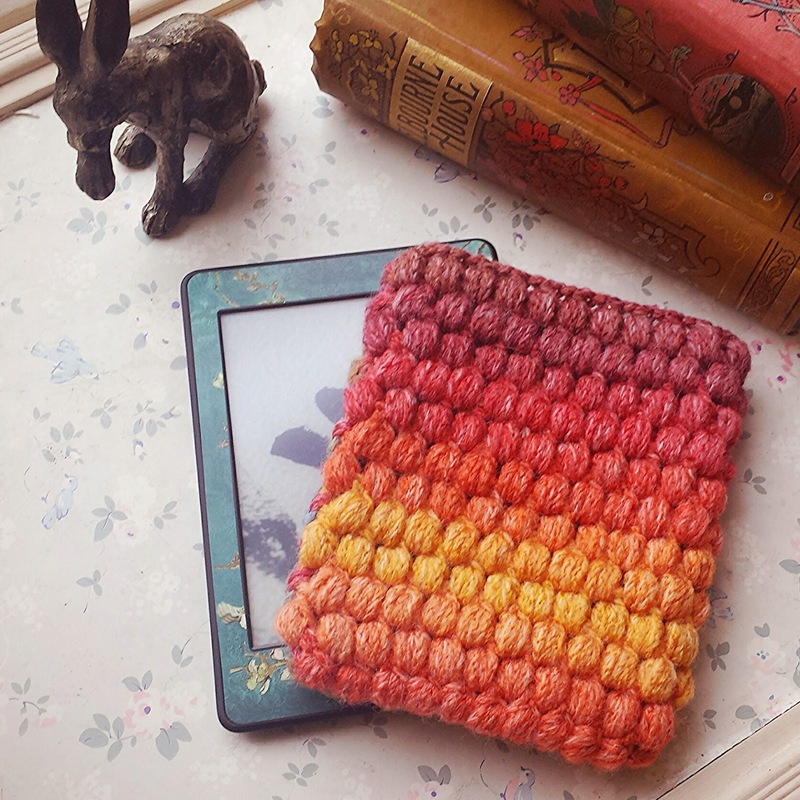 For Christmas I made my mum a puff stitch scarf using All About Ami’s Puff Stitch Pattern and had a little left over yarn – it is so squishy and the puffs are perfect for cushioning my kindle when I plonk it on the side. 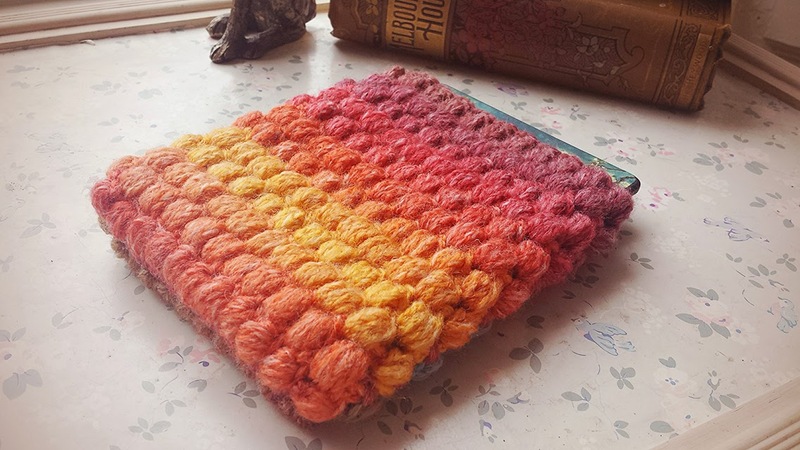 I altered the pattern ever so slightly so the fit was more snug - my kindle cover is made from 11 puffs instead of 12 for the scarf. Repeat Row 2 10 more times. 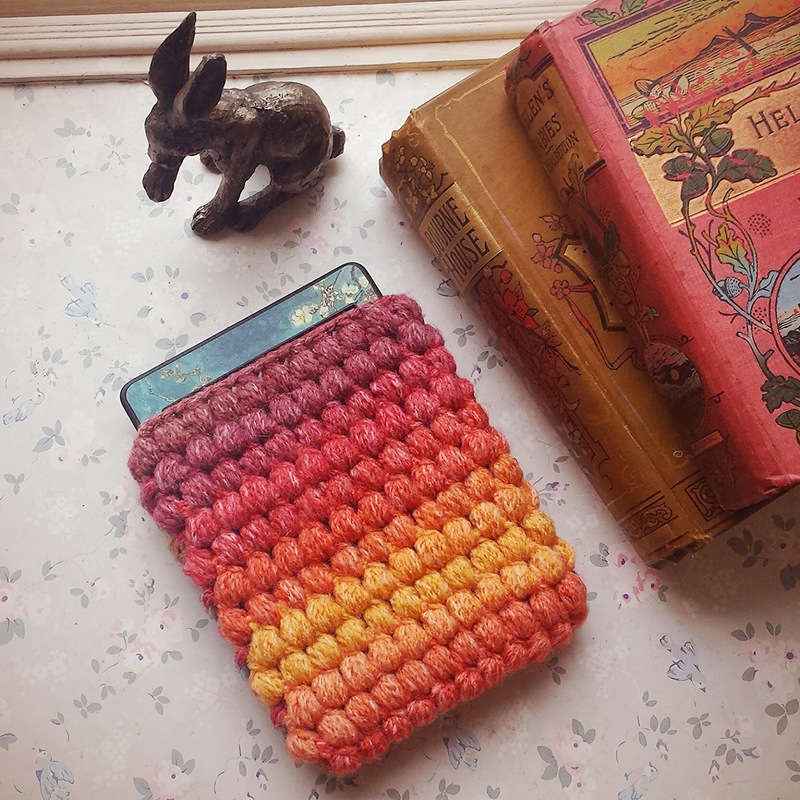 First side of your kindle cover complete! Make another side panel the same way and then sew both panels together. Done! 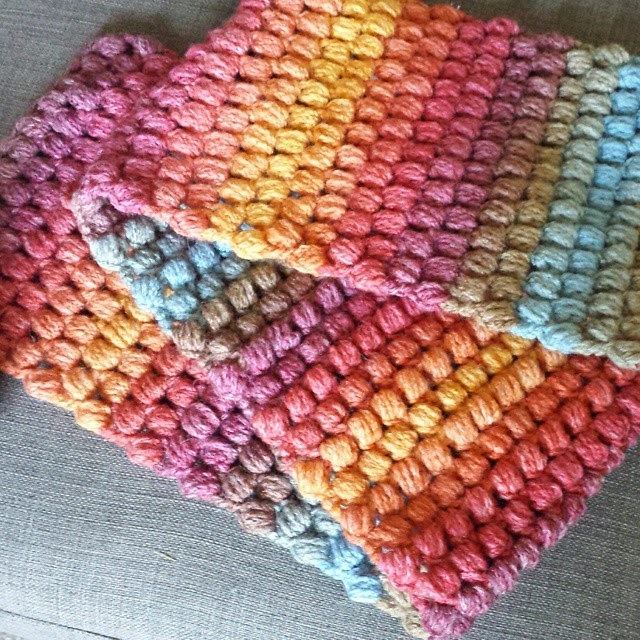 Credit to All About Ami for the puff stitch pattern. What brand of yarn is that? Would it work if I worked the stitches on both sides of the foundation chain? To make a cover as it is without having to make two panels and stitch them together?